The Freycinet National Park is a real beauty. 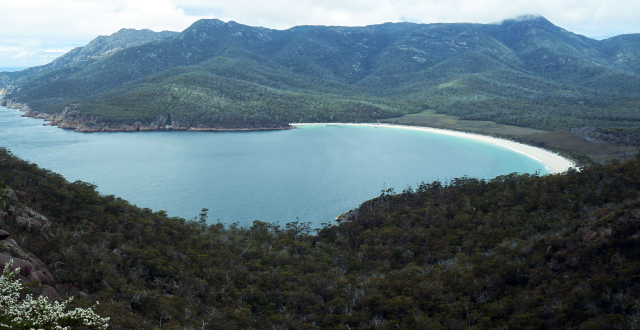 Wineglass Bay is called one of the ten most recognized beach-bays in the world. It sure would have been more spectacular if the sun had been out.